Nothing gives character to a home like original windows. Windows are often referred to as the eyes of architecture. 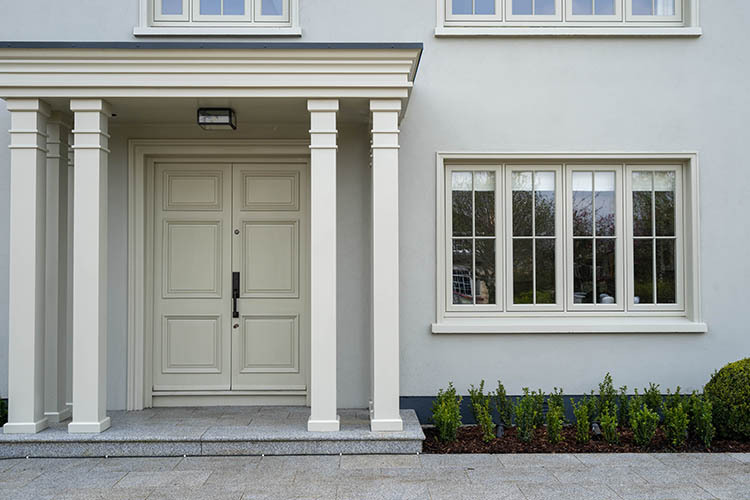 This Dublin family got in touch with Signature Windows & Doors to discuss their refurbishment project. 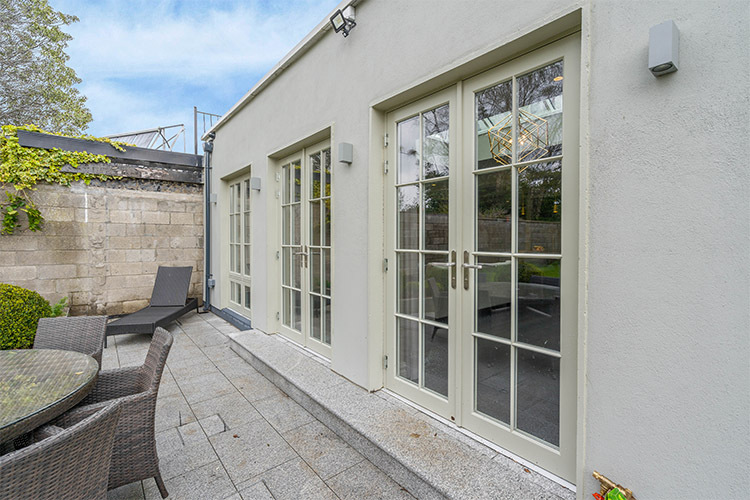 A key part of the refurbishment of the home was upgrading the old timber windows and doors with improved thermal and draught proof performance. However, maintaining the original slim, elegant design of the windows and doors was crucial to the overall architectural integrity of the facade. 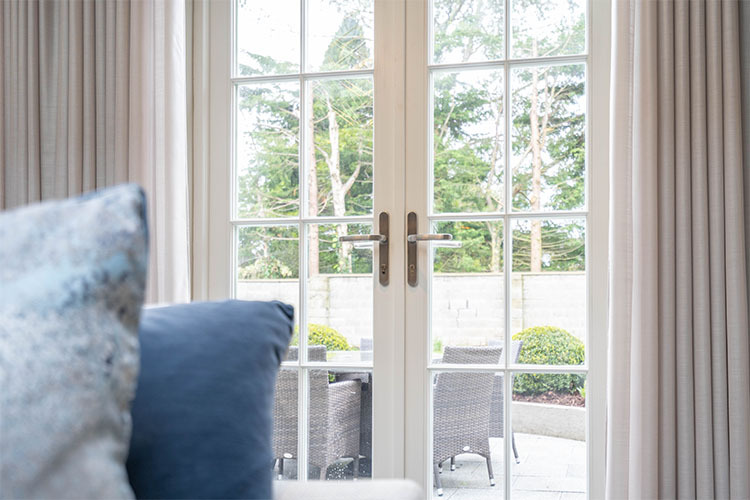 The homeowner paid particular attention to the overall design of the windows and doors as they understood the crucial role that they form in both the interior and exterior of a building. 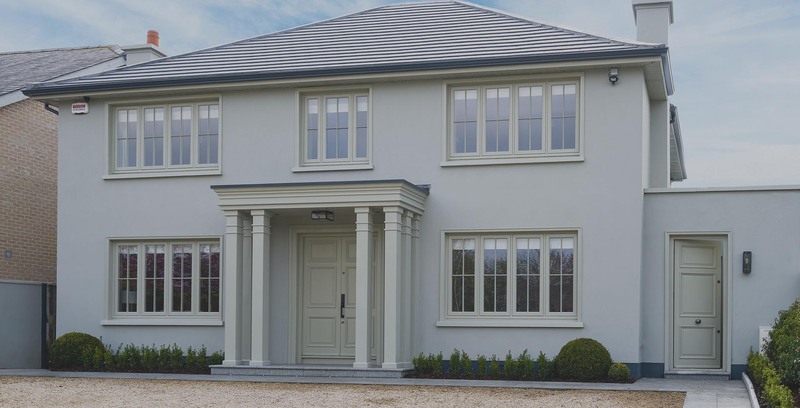 The exterior of the windows and doors were factory painted Pebble Grey to blend in with the exterior facade. The interior was painted pure white to embellish a luxury atmosphere throughout the home. 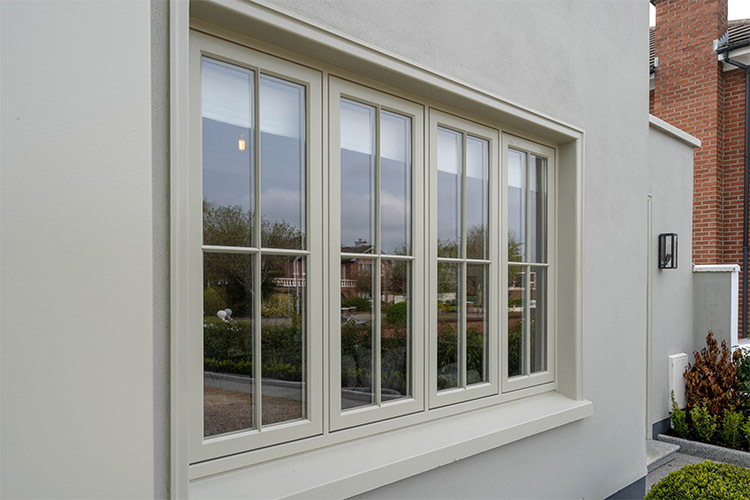 The Victorian-styled windows and doors feature 18mm glazing bars with a Lamb’s tongue profile on the interior and Putty profile on the exterior. 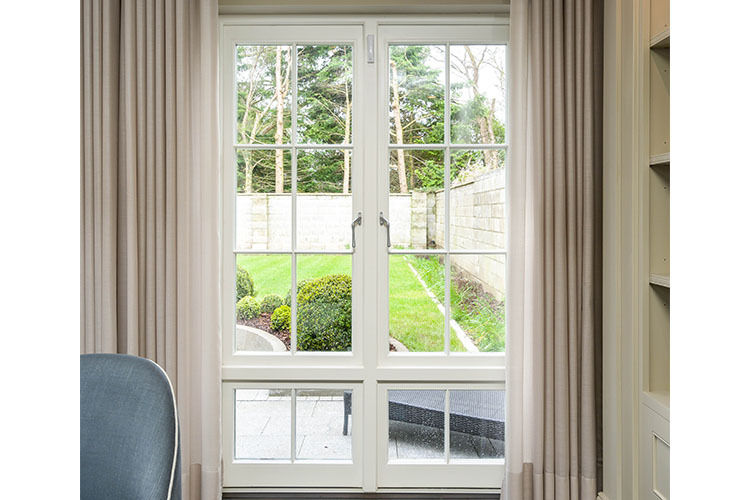 The bottom and top rail of the casement windows either side of the french doors were increased in size so the glass lines were consistent throughout the bank of windows and doors. 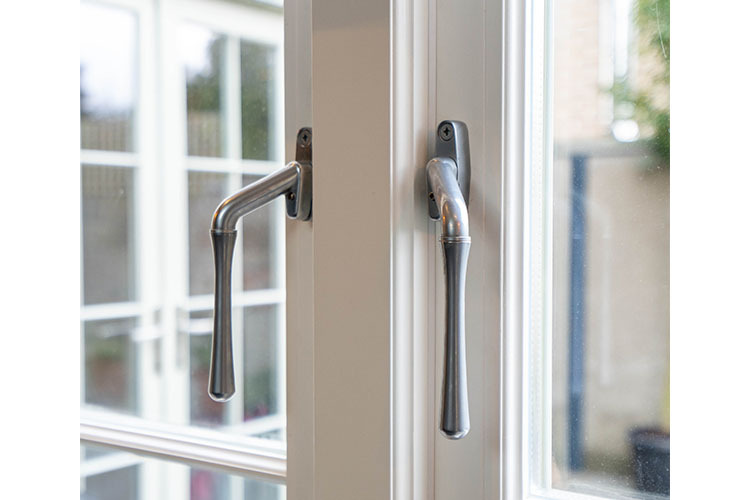 Signature ordered custom made ironmongery for the casement windows and integrated them into the existing locking mechanism to allow the homeowner to create a truly original look for their home. Consistent Sightlines Were Maintained Throughout To Form Elegance, Symmetry And Harmony. 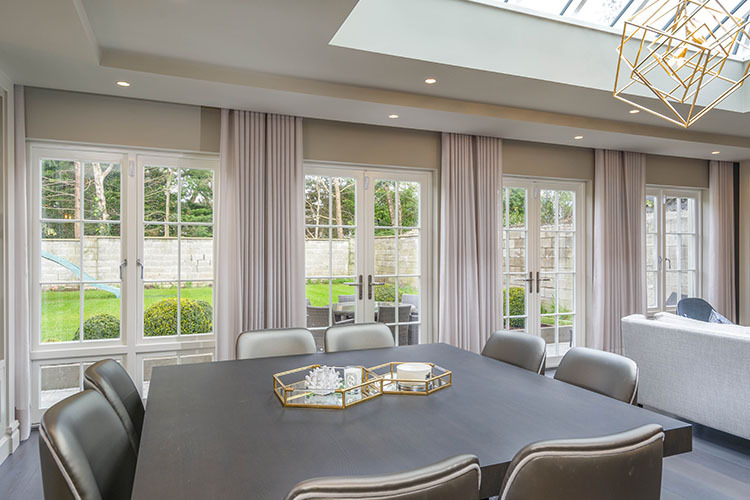 The wall of casement windows and french doors to the back of the home were tactically designed by the architect to maximise the entrance of natural light and seamlessly establish a link between inside and out. 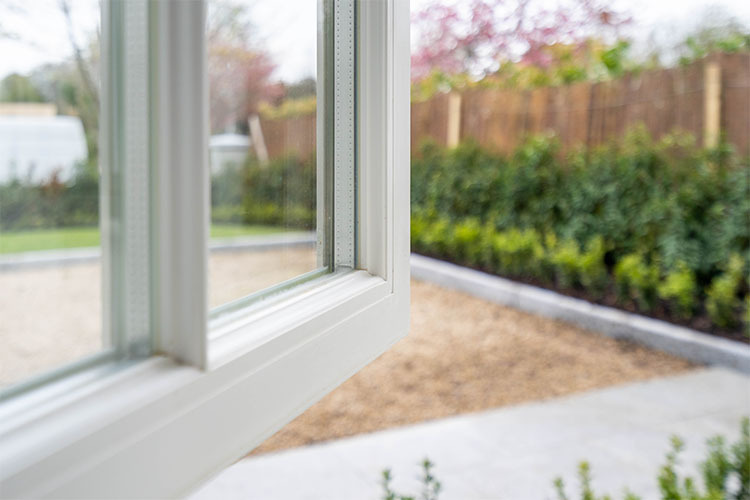 The highly energy-efficient double glazing provided vastly greater thermal performance in comparison with the original single glazed windows and doors. The Low E glass (low emissivity coatings that reflects heat back to its source) prevents heat from escaping through the windows and doors. 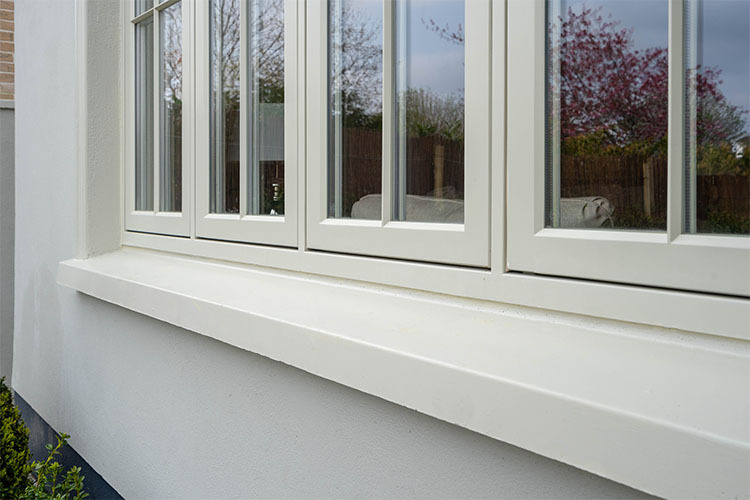 The non-toxic argon gas combined with the warm-edge spacer bars between the glazing act as insulators. 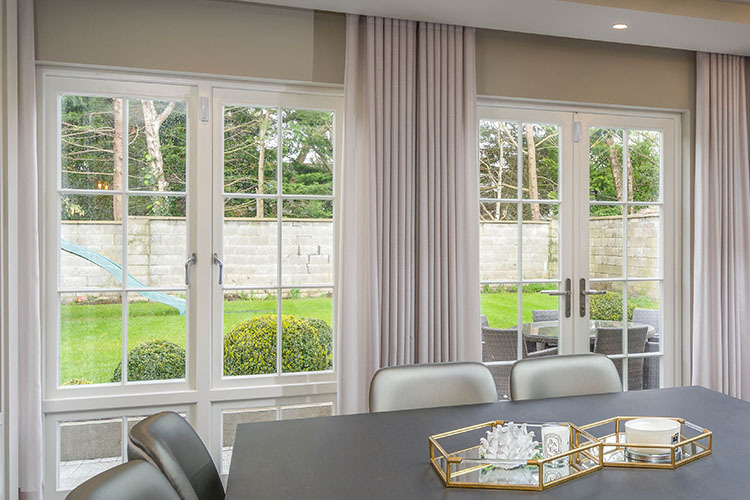 The finger-jointed engineered timber prevents both warping and twisting while providing greater structure and durability to the windows and doors. 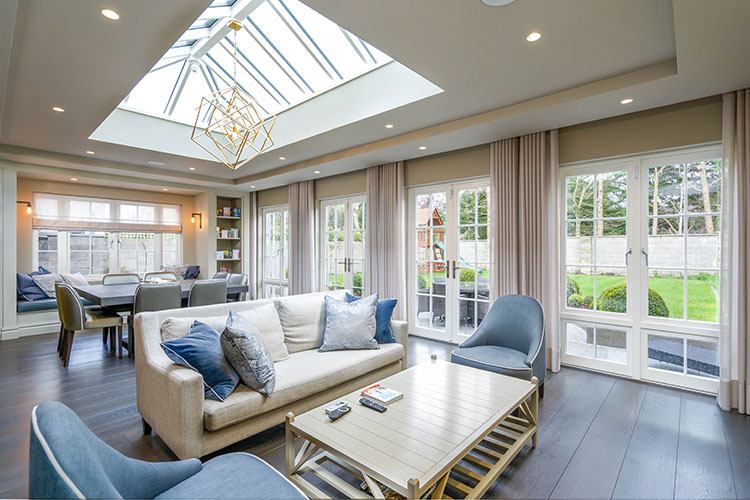 Signature’s distinguished slim profiles allowed the homeowner to reach an exceptional overall thermal performance without compromising on aesthetics with unappealing heavy frames. 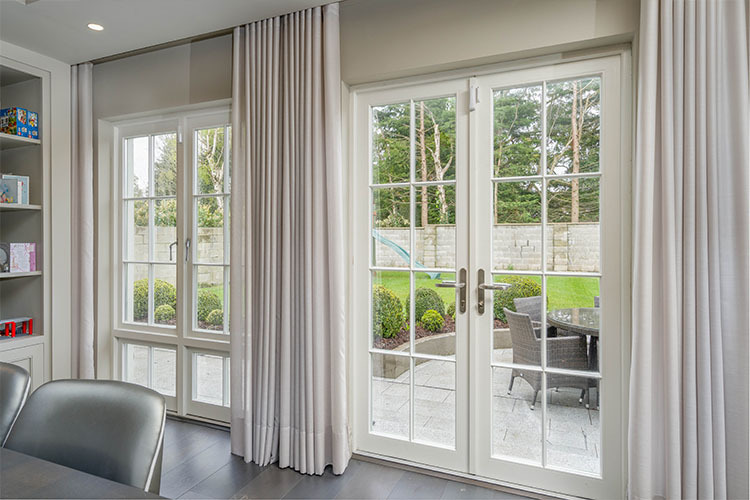 Get in touch with Signature Windows & Doors today to get a free design consultation and estimate on your replacement or newbuild project.